Researcher Stephanie Melillo holds the fourth metatarsal of the Burtele partial foot right after its discovery. The team found eight bones from the front half of a right foot. 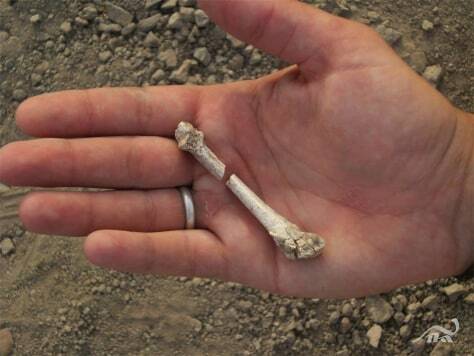 Such hominin fossils are rare, since they are fragile and are often destroyed in the face of carnivores and decay.